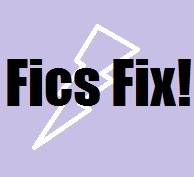 Dora Reads: Friday Fics Fix - Love Vs War. Freedom Vs Silence. Stop the presses, Cee's back on the Stucky! So, Banned Books Week starts on Sunday, and I've been thinking a li'l bit about censorship. And you know I've never reeeeeally been one for doing things as expected. ...With fanfiction, instead of books. ...And with censorship as a theme, rather than the fic itself being censored. ...And the censorship being of a letter in WW2. ...Because that's just kinda the way I roll. I figured it'd be a good idea to show the actual affects of government censorship. Y'know, so that all the people screaming 'CENSORS!' at people who give legitimate critique will know what censorship actually looks like. 'Phillips shuffled through the files on his blotter until he found the one he was looking for. After reading for several minutes, his eyebrows lifted, then his gaze shifted back to Steve’s face as he set the papers back down on the desk. See, once upon a time, it was possible to get punished for writing a letter home to your loved one. - If said loved one was of the same gender as you. So, yeah, this fic deals with homophobia and the oppression of LGBTQ+ folks - just to warn ya. It's an awesome fic, so check it out. Great post, Cee! I definitely think that any censorship is bad censorship, but it's important to know where this all originated from. Most censorship hits those in marginalized groups a lot harder than it affects those in privileged positions. I agree with Emily that it's important to see where the censorship comes from. Usually someone gains from it.